Odysseas Elytis: "See that it's printed exactly like that"
Nikos Viskadourakis, "The Emperor is Naked!" 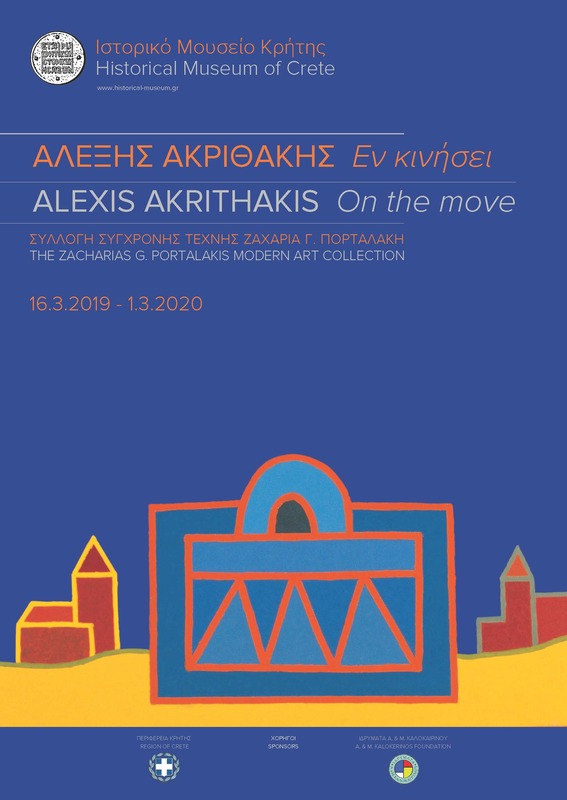 On Saturday, March 16, 2019 at 19:00 at the Historical Museum of Crete, the Society of Cretan Historical Studies opened the exhibition Alexis Akrithakis | On the move, showcasing the works of the subversive Greek painter of the 20th century from the Zacharias G. Portalakis Modern Art Collection. Dedicated to the important Greek artist Alexis Akrithakis in celebration of the 25th anniversary since his death, it is the fourth annual exhibition co-organized by the Society of Cretan Historical Studies and the collector Zacharias G. Portalakis. 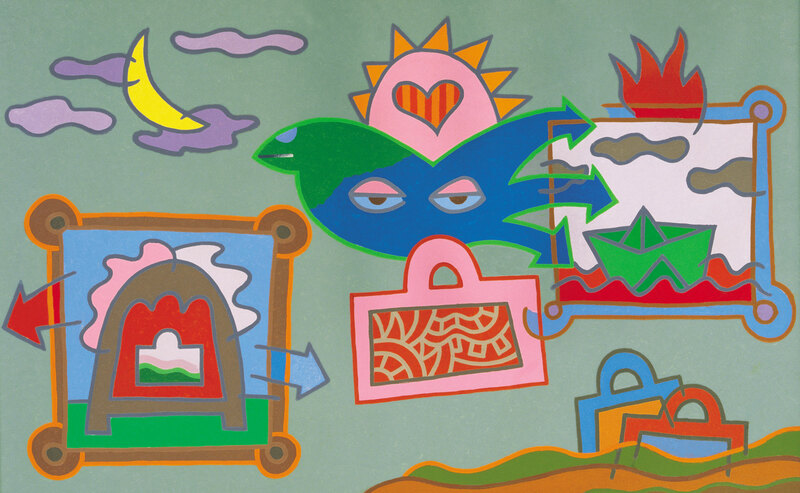 A retrospective exhibition, as it includes paintings, constructions, collages and drawings spanning the whole of Akrithakis’ oeuvre from 1965 to 1993, it features works that have been described as "emblematic" and "fascinating". 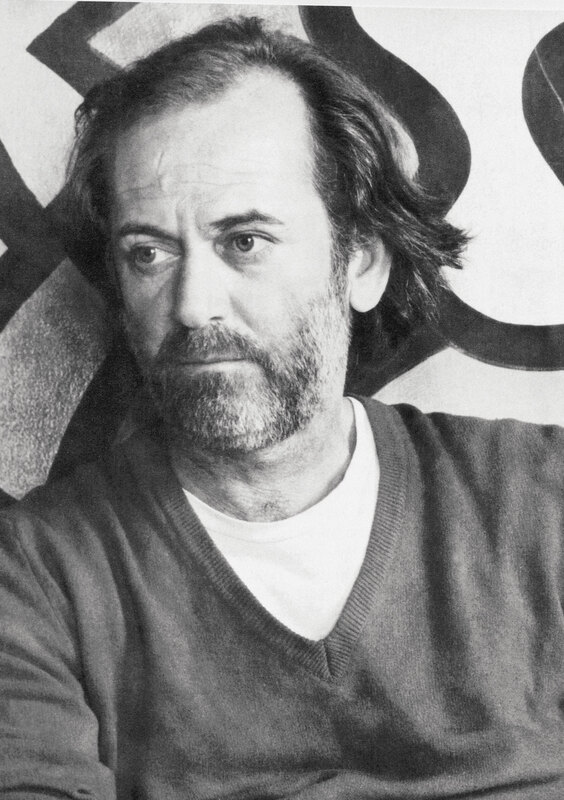 "They present us with an anthology of his work, his career, the essence of this great artist, which is intensely present in even the tiniest sketches, because he can and does hold the thread, Ariadne’s thread,which will always show him a way out to the light” as noted by the art historian Denys Zacharopoulos in his text written for the exhibition and included in the exhibition catalogue. 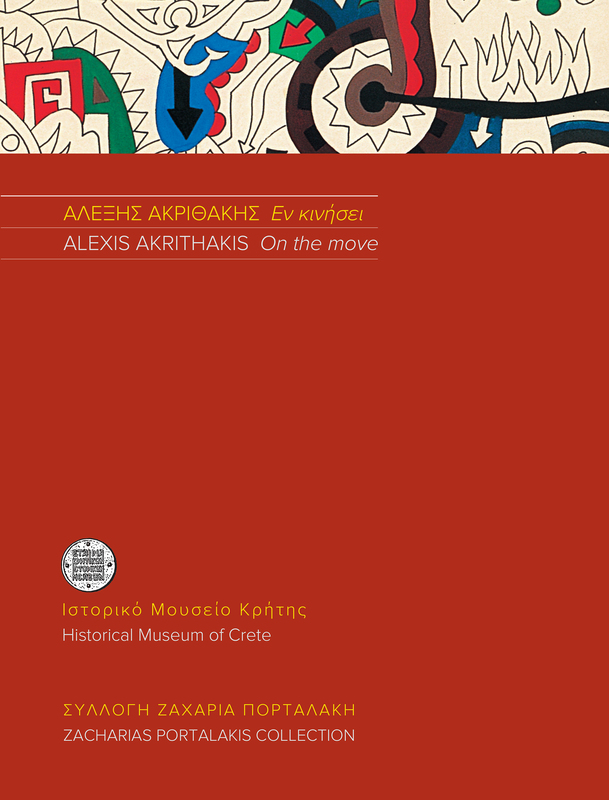 The exhibition’s publications include a bilingual, (english-greek) leaflet featuring works by Akrithakis in full-colour, (free of charge), and a full-colour exhibition catalogue (ed. by Katerina Logothetis) available at the HMC shop and the HMC online shop. Fully illustrated, the catalogue includes texts by the art historians Denys Zacharopoulos, George-Byron Davos, by the artist’s daughter, Chloe Geitmann-Akrithaki, with introductions by Alexis Kalokerinos, President of the SCHS and by the collector Zacharias Portalakis whose contribution to the catalogue has –as always- been decisive. The exhibition was organized by the scientific, administrative and technical staff of the Historical Museum of Crete, coordinated by Alexis Kalokerinos and under the continuous care of the collector Zacharias Portalakis. The curators of the exhibition were Denise-Chloe Alevizou, Angeliki Baltatzi and Despina Pertselaki. Special mention is owed to the Region of Crete and the A. & M. Kalokerinou Foundation, steady supporters of the SCHS. In the evening of the opening at the HMC “Yannis Pertselakis” Amphitheater, opening speeches on the life and work of Akrithakis were held by Denys Zacharopoulos, Art historian, artistic Advisor and Curator of the City of Athens Municipal Art Gallery, Museums and Collections and artist Chloe Geitmann-Akrithaki. The Regional Governor of Crete, Mr. Stavros Arnaoutakis opened the exhibition. Various activities and events have been planned around The Alexis Akrithakis' year at the Historical Museum of Crete, which will include lectures, musical events and as always the free educational programs for pupils and for the elderly, which remain central to the SCHS. The painter Alexis Akrithakis was born in Athens in 1939. In 1958, he enrols in the Académie de la Grande Chaumière in Paris. He returns to Greece in 1961, without graduating, to do his military service. 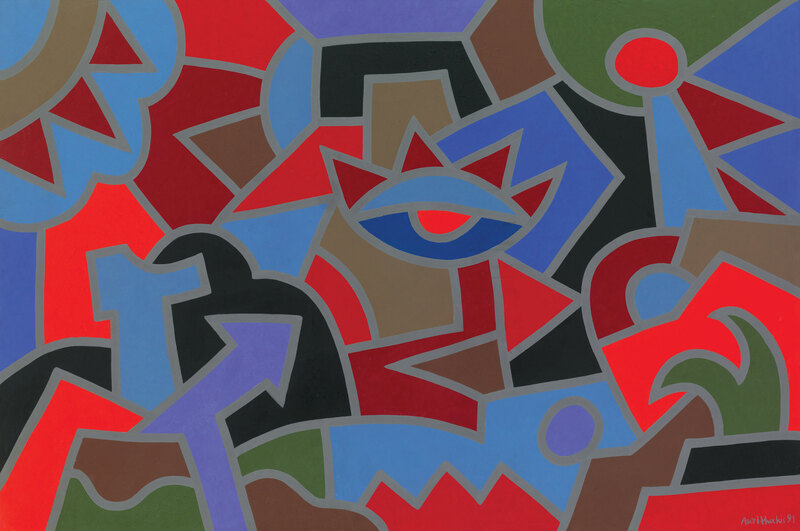 Two years later, he shows his work for the first time at the Veltsos gallery in Thessaloniki; in 1965, he stages his first solo exhibition at the French Institute, Athens. The exhibition catalogue is introduced by Nanos Valaoritis. That same year, he participates in the international II Internationale Ausstellung objektiver Poesie und Malerei exhibition in Copenhagen, as well as in group shows in Greece and abroad (IX Panhellenic Exhibition, Berlin, and elsewhere). In 1968, he moves to Berlin on a DAAD scholarship; the city will remain his home until 1984. At this time, he embarks on his collaboration with Alexander Iolas. 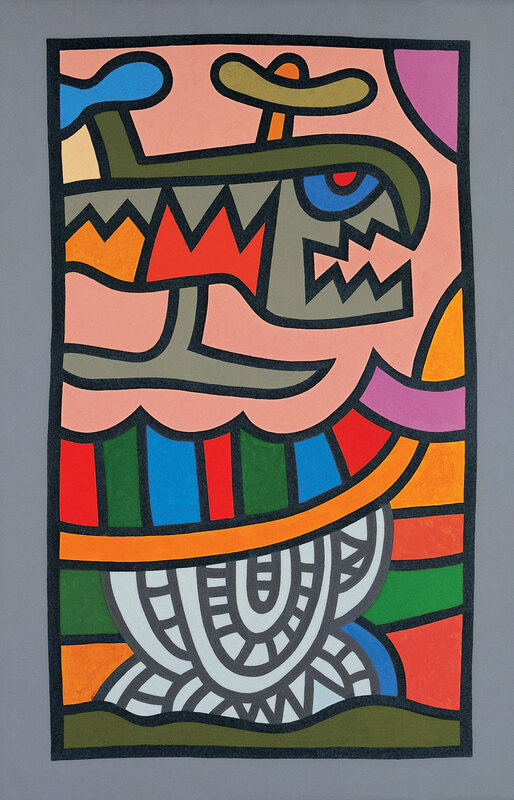 His paintings and constructions are shown in solo exhibitions in Germany, Switzerland, Italy and Greece. From his return to Athens in 1984 until his death in 1994, his work – which now includes collages, wooden constructions, and everyday materials – is shown in solo and group exhibitions at Artio, Gallery 7, Gallery "3", Kreonidis, Ileana Tounta.